Manchester United kick off the 2018-19 Premier League season on Friday 10 August when we entertain Leicester City at Old Trafford. Indeed, the new campaign is less than four weeks away with only a short turnaround between the World Cup ending and the new season starting. 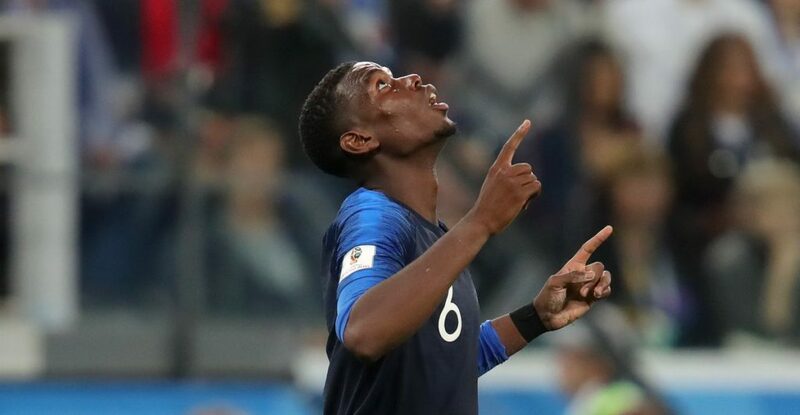 Paul Pogba is the only Manchester United player involved in Sunday’s World Cup final when France take on Croatia, whilst Jesse Lingard, Marcus Rashford, Phil Jones, Ashley Young, Romelu Lukaku and Marouane Fellaini were all represented in the third place playoff on Saturday between England and Belgium. In total, we had 11 players in Russia for the 2018 World Cup this summer, with the four other players being David de Gea, Victor Lindelof, Marcos Rojo and Nemanja Matic. We can count new signing Fred as number 12. With such a short space of time between the end of the World Cup and start of the Premier League season, with players needing a break and then get back up to pace in training, Jose Mourinho believes several of our World Cup stars will miss our season opener against Leicester City. Leicester City themselves had Harry Maguire and Jamie Vardy in the England squad for Saturday’s 2-0 loss to Belgium in the third-place playoff. While you are navel gazing it might be worth remembering tha Leicester City had 10 players in the world cup (one less than United) so it’s about managing them, not setting up an excuse in case you lose.